Below are SsAM ministries. Here are some of the ways you can volunteer to make SsAM effective in its ministry to its members, visitors and community neighbors. Join us at the Ministry Fair on the 1st Sunday in October to learn more about our ministries and to meet members of SsAM who participate. To see a list of charitable ministries to those outside the church, CLICK HERE. If you feel called to teach children, teens, or adults, please contact the church office at 302 656-6628. 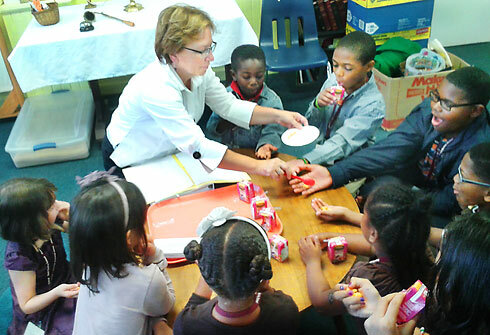 Younger children are taught using the Godly Play model. Each Sunday morning at 8:00 a.m. SsAM hosts a nondenominational interactive service in the Chapel immediately following the Sunday Morning Breakfast Ministry. This service is especially designed to minister to the spiritual needs of those who attend the Sunday Morning Breakfast, but is open to everyone. This inspirational gathering includes hymns, prayers, a homily and the sharing of life experiences. Those who wish to lead services and participate in this ministry are invited to call the church office at 302 656-6628. Acolytes and Lay Eucharistic Ministers on Easter Day, 2015. Click on the image to see it larger in a new window. Acolytes are youth and adults who assist in the celebration of the liturgies of the Church. Acolytes carry the cross and or torches in processions, assist with setting the Eucharistic table and assist the celebrant at weddings, funerals, and other liturgies. This ministry requires that the candidate be a baptized communicant in good standing. Younger acolytes usually serve as torch (candle), incense and banner bearers. Older acolytes serve as crucifers, thurifers and servers. No previous knowledge is required. Anyone interested in being trained as an Acolyte should call the church office at 302 656-6628. Lectors read the lessons from Holy Scripture and the Prayers of the People during the liturgy. Training will be provided to anyone who is interested in this ministry. A strong, articulate voice is required. Those who decide to be readers should be willing to commit to preparing lessons ahead of time so they are read well. Anyone interested in being trained as a Lay Reader should call the church office at 302 656-6628. 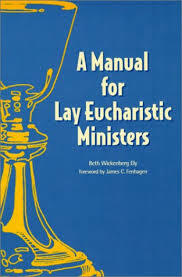 Lay Eucharistic Ministers (LEMs) are lay persons who assist the clergy at the Altar and administer the wine during communion. LEMs are needed for both the 8:00 and the 10:30 services. In addition to Sunday morning liturgies and special feast days, LEMs are occasionally needed for weddings and funerals. Interested persons will received special training and are appointed and licensed by the Bishop at the request of the Rector. If you are interested in serving as a Lay Eucharistic Minister, please call the church office at 302 656-6628. Lay Eucharistic Visitors (LEVs) are responsible for taking the Sunday Eucharist (Communion) to parishioners who are not able to attend regular services in the parish due to illness. This ministry is always performed immediately following the Sunday Eucharist. This is a licensed ministry within the Diocese of Delaware. Persons who have an existing ministry of visitation or pastoral care are especially encouraged to consider serving as an Eucharistic Visitor. If you are interested, please call the church office at 302 656-6628. Those who serve on the Altar Guild are responsible for preparing the altar, vessels, linens and vestments that are to be used for worship on Sunday and for special services. Members serve on a rotating basis. Responsible, organized, and detail-oriented people will find this a rich and rewarding ministry. No special knowledge is required to join. Training is provided and guild members provide fellowship and support. Anyone interested in serving on the Altar Guild should call the church office at 302 656-6628. This ministry is an integral part of all worship services at SsAM and is primarily a ministry of hospitality and service to others. Persons interested in serving as ushers will welcome people to worship and aid them in finding a place to sit and provide them with leaflets so that they may follow the service. Teens as well as adults are encouraged to consider this ministry. Families are welcome. No special knowledge is required to join. Training will be provided. For more information, please call the church office at 302 656-6628. 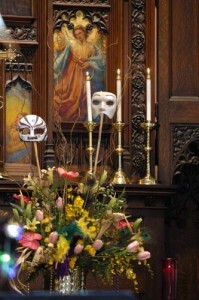 Members of the Parish and Community are invited to participate in the many aspects of our music program Through our SsAM Drumming Circle, Adult Choir, Summer Choir, the Treble Choir and our Chorister Training Program for all ages, the SsAM Music Ministry offers musical opportunities for all ages. To learn more, CLICK HERE or call the church office at 302 656-6628. There’s something for everyone on Clean-Up and Spruce-Up Saturdays: carpentry, gardening, electrical work, painting, cleaning, and more. If you can lend a hand, please call the church office at 302 656-6628 and let us know how you can help. If you forget to call, just show up! CLICK HERE to see a complete list of charitable ministries we support that serve the community outside our church.